Devilskin play their UK debut show in London at intimate Borderline on Wednesday 15th April, with a warm up show at the Black Heart on Tuesday 14th April, also in London. 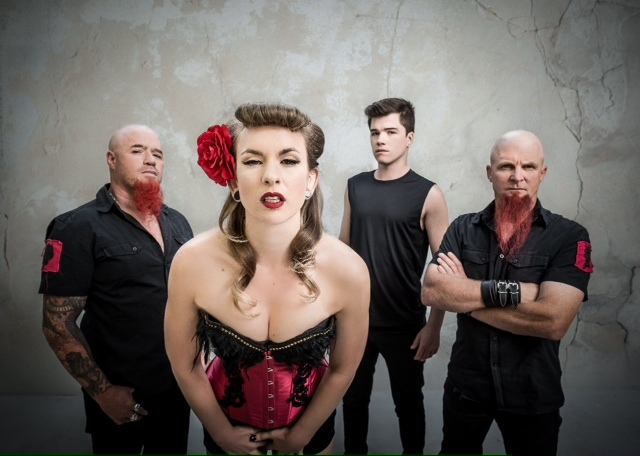 A phenomena in their native New Zealand, Devilskin’s debut album ‘We Rise’ debuted at number 1 and the singles have amassed over 800,000 hits on Youtube. Devilskin have earned a formidable reputation by earnestly demonstrating commitment to unpretentious musical values, writing songs that have depth and passion, and a relentless touring schedule. Their tactical instrumental attack is balanced by Jennie Skulander and her incredible voice that sweeps from whisper to roar, always with a powerful force.